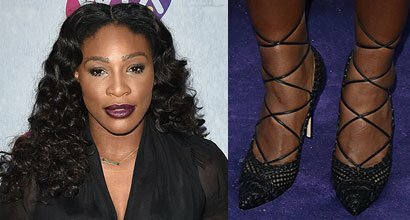 Check out the best outfits and shoes worn by Serena Jameka Williams, an American professional tennis player. 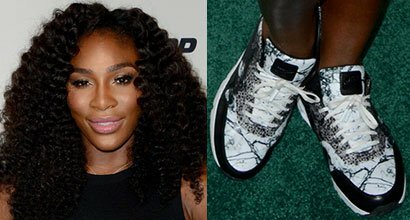 Her shoe size is 10.5 (US) and she was born on September 26, 1981, in Saginaw, Michigan. 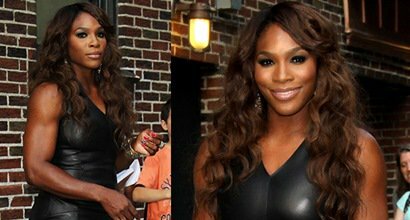 In 2017, Serena Williams married Alexis Ohanian, an American internet entrepreneur and co-founder of Reddit. 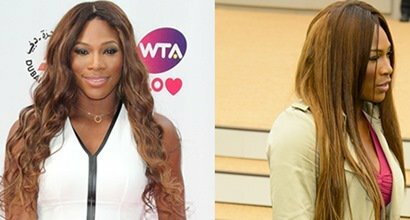 Her sister is Venus Williams. Khloe vs. Kim vs. Serena: Who Looks Best in Balmain Braided-Rope Sandals? Earlier this year, we featured Kim Kardashian wearing the braided-rope sandals by Balmain at the 2014 MTV Video Music Awards…. 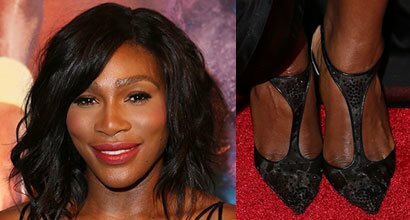 Who Looks Best in Christian Louboutin’s Decorapump Strass Pumps?